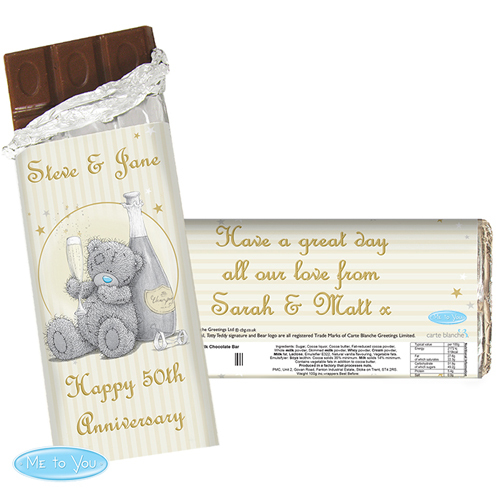 Personalise this Gold Stars Chocolate Bar with 3 lines of text on the front up to15 characters per line and 3 lines on the reverse up to 20 characters per line. All personalisation is case sensitive and will appear as entered. What's more our great value chocolate includes free standard delivery and are available on next day. Perfect for Wedding, Anniversary, Engagement, Birthday, Graduation.